Turbulence in Toorak: John McMurrick is suing Kay & Burton over the renovated house he sold for $6.5 million - $1.5m below what he says he was told he could get. Melbourne businessman John McMurrick is suing eastern suburbs real estate agency Kay & Burton over advice that he says lost him $1.5 million on a Toorak mansion. Mr McMurrick, a former Liberal Party donor - who quit the party before this year's federal election in response to its proposed superannuation changes - says Kay & Burton director Ross Savas told him he could sell the 46 Canberra Road property for between $7.5 million and $8 million after renovating it, but it only raised $6.5 million because the agent failed to take into account the effect a flooding overlay would have on its value. The case comes amid growing scrutiny on the estimates real estate agents make. Melbourne real estate agency Hocking Stuart was this week hit with Victoria's biggest-ever fine of $330,000 for underquoting the price of property sales to potential buyers. "Neither Ross Savas nor Kay & Burton disclosed to John McMurrick any factors which could impact adversely on the ability to achieve a sale in the price range as advised," says Mr McMurrick's writ, lodged with the Supreme Court of Victoria in February. "Because of the [flooding overlay], John McMurrick could not have expected to achieve the sale price estimate, and further or alternatively was not likely to achieve the sale price estimate." 2 Hopetoun Road, Toorak. Mr McMurrick previously renovated this house, which he then sold to former ANZ chief executive Mike Smith for $9.65 million. Mr McMurrick has a lengthy track record in buying eastern suburb properties, renovating and reselling them. 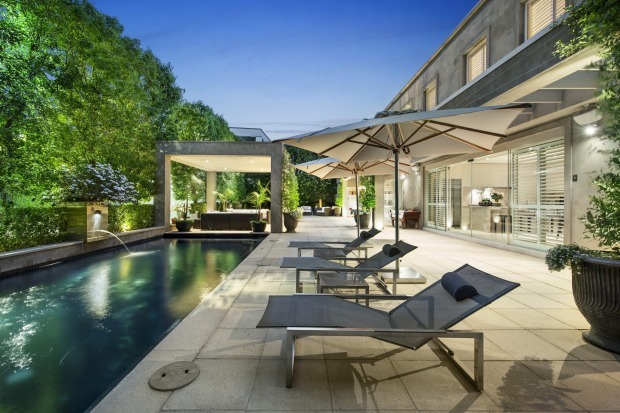 The 2 Hopetoun Road house in Toorak he sold to former ANZ boss Mike Smith for $9.65 million in 2007 is one example. He purchased the Canberra Road property through Kay & Burton for $3.9 million in March 2012, spent $4 million in renovation and holding costs, but only got $6.5 million when he sold the renovated four-bedroom dwelling in February last year. It was only in May 2014, when Mr McMurrick was having problems selling the property, that Mr Savas said the overlay - a planning instrument governing use of an area subject to flooding risks - was the cause, Mr McMurrick alleges in the writ. He is seeking damages to cover his loss of nearly $1.5 million. In its defence document, Kay & Burton says Mr Savas told Mr McMurrick in 2012 that the property could only sell for between $6 million and $6.5 million after renovation. It says Mr Savas was not requested to disclose any factors that could affect the sale price and it says Mr McMurrick knew of the overlay before buying the property. "John McMurrick was at all relevant times an experienced businessman and a sophisticated purchaser, developer and vendor of real estate," the agency says. It also shows the potential difficulty for real estate agents when they give advice about a property to a buyer when they are being paid by the vendor of the same property. Mr McMurrick, says in the writ Mr Savas had described himself to Mr McMurrick as his "real estate advisor". In its defence document, Kay & Burton says that point is "not admitted". Mr McMurrick was co-founder of insurance broker Freeman McMurrick - which Aon purchased in 2006. His lawyer Isaac Apel, as well as Kay & Burton, declined to comment. Save thousands using our property reports, online comparison, and expert agent appraisals. Chat it over with our property expert Paul. Our local office number is 1300 040 463. Whilst we strive to give you the best possible online experience, sometimes it's just nice to chat on the phone with a real person. © Agent Select. All rights reserved 2019. An Agent Select property professional will call you during your preferred time. Want to chat with our property expert Paul? Just let us know the best time and we'll call you back. Send us an email and our property expert Paul will get back to you.